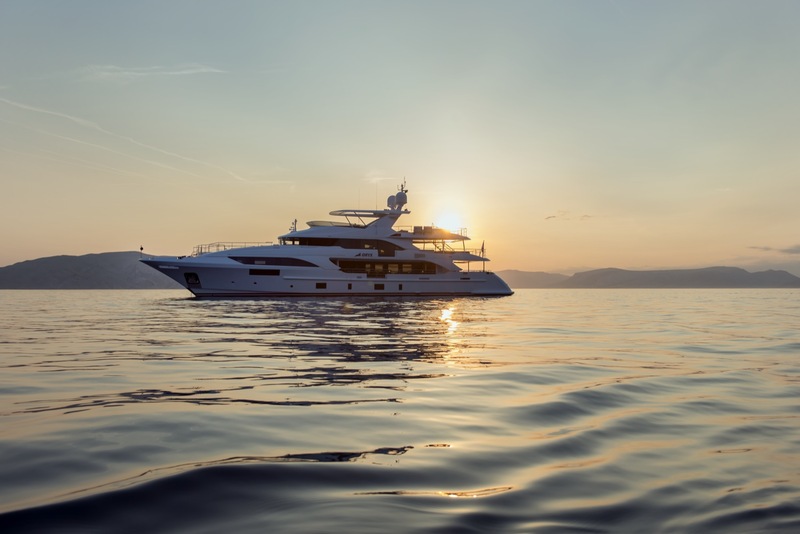 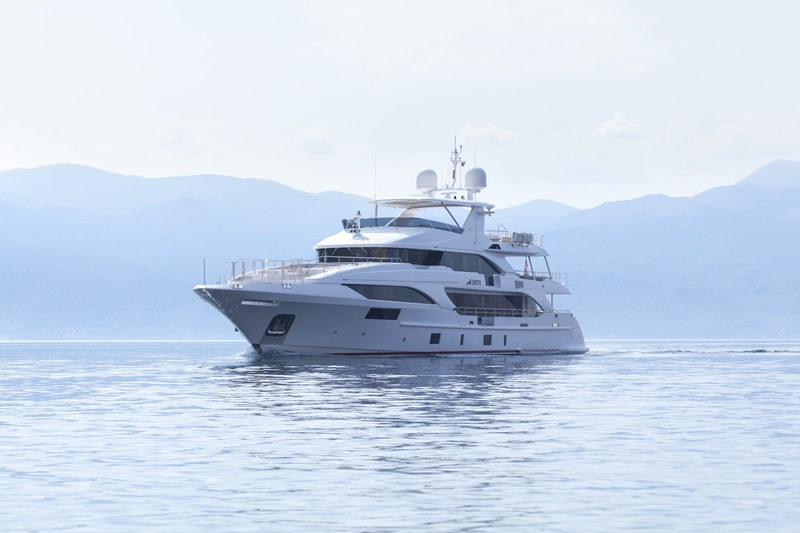 Built by Benetti in 2013 and last refitted in 2017, 40m/132ft semi-displacement superyacht ORYX is constructed with a GRP hull and features the naval architecture and exterior styling of Stefano Righini. 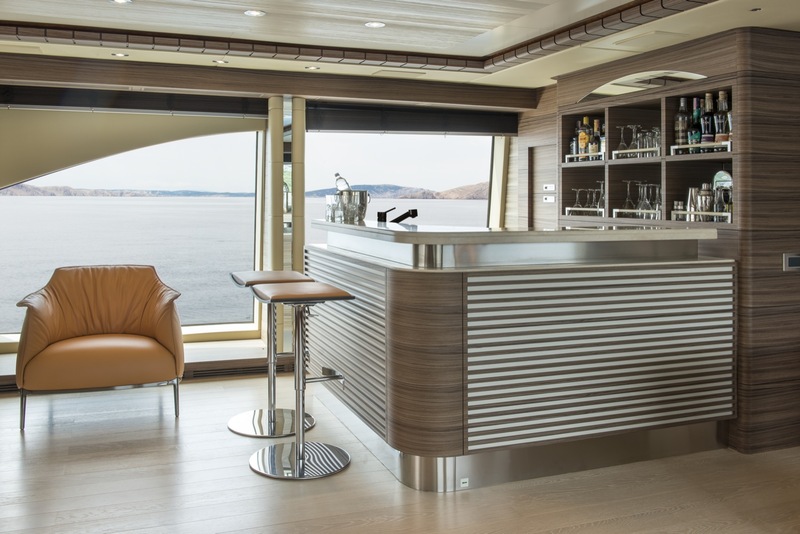 The interiors are produced by Zuretti, who chose a modern colour scheme combining natural materials mainly using natural colour tones. 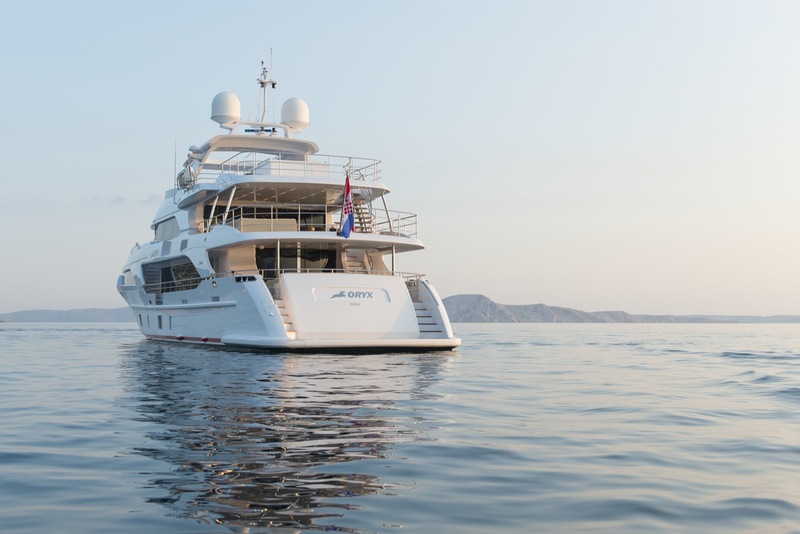 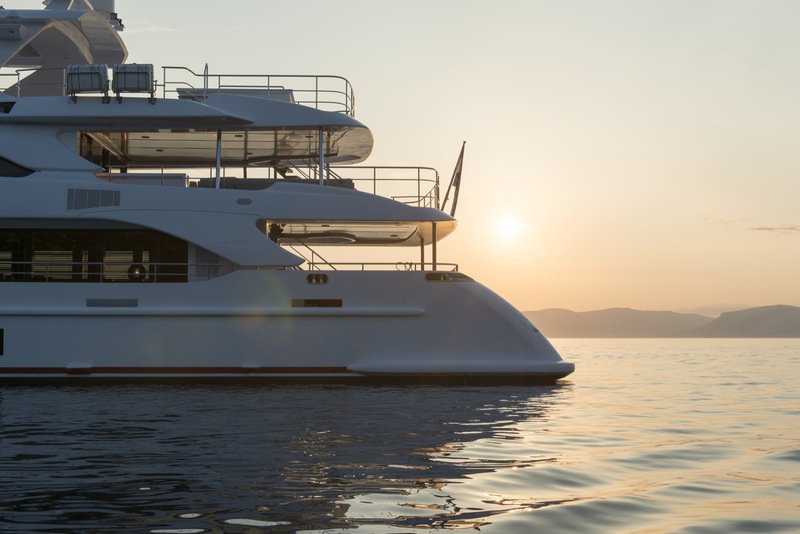 The accommodation provides for up to 12 charter guests over dive cabins. 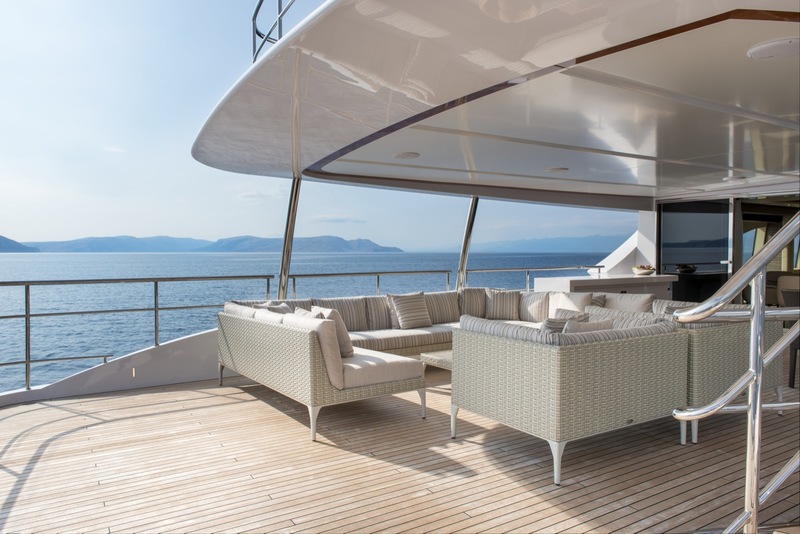 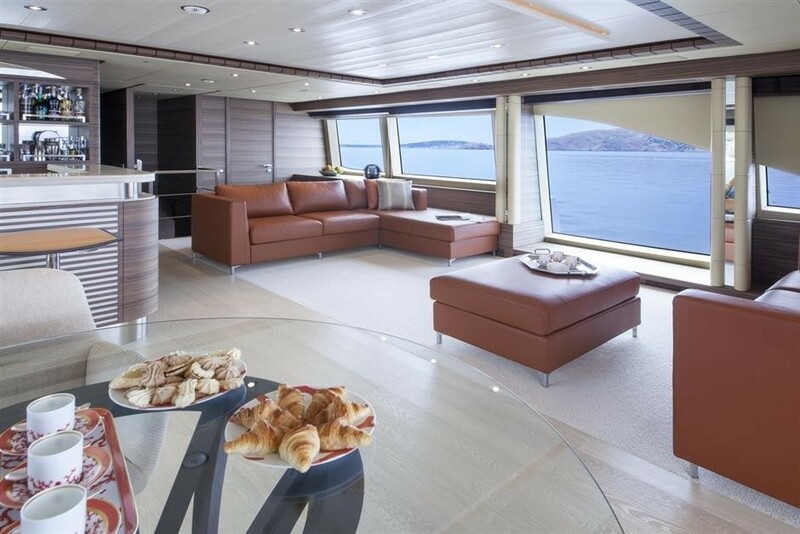 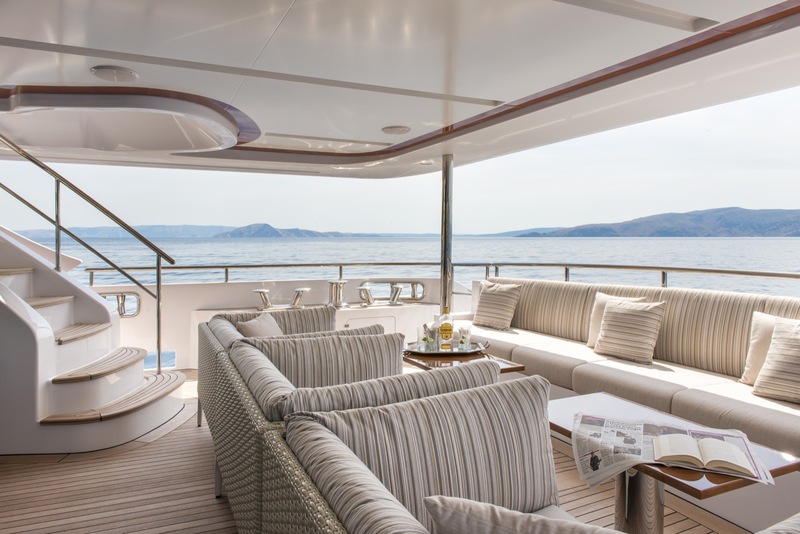 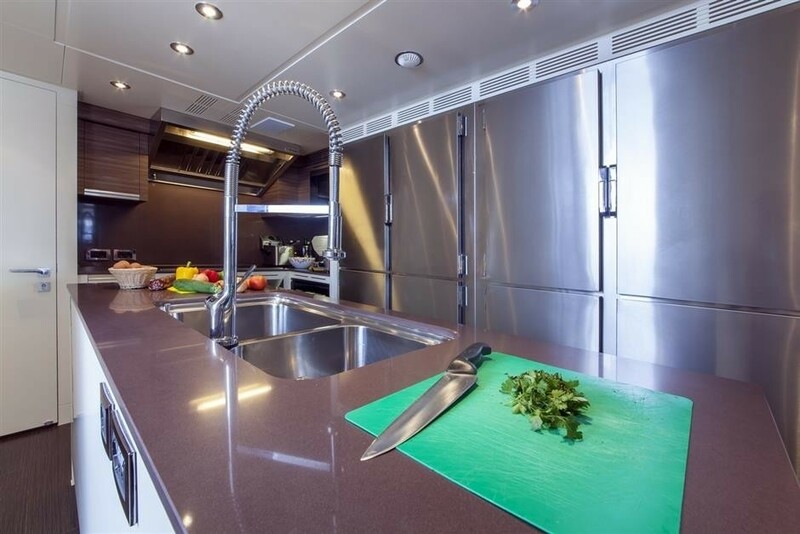 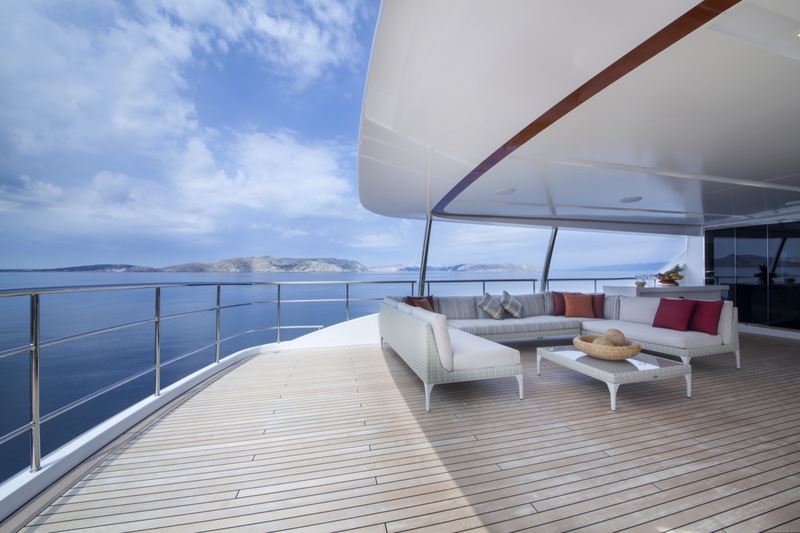 The main deck aft is a sheltered space where guest can rest on the sofa along the stern and enjoy an alfresco meal. 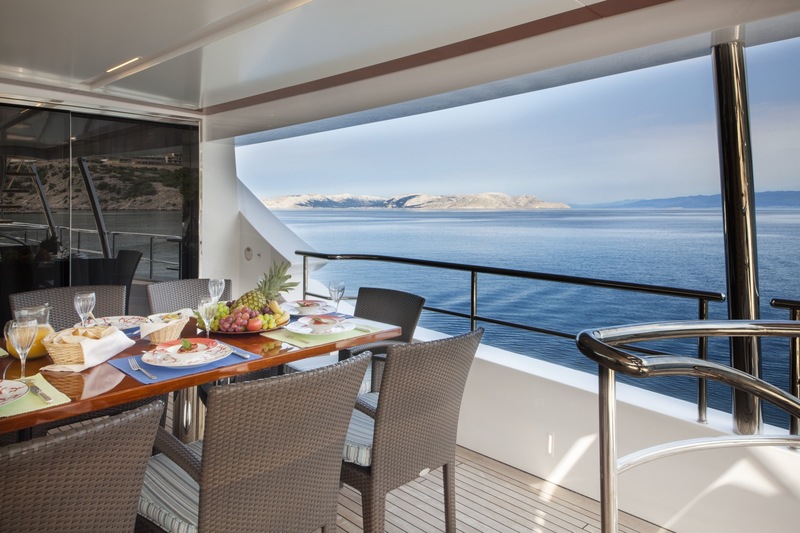 On the upper deck, the bow has plenty to offer guests and there is a Portuguese deck with a raised table and seating area, plus a Jacuzzi on the bow. 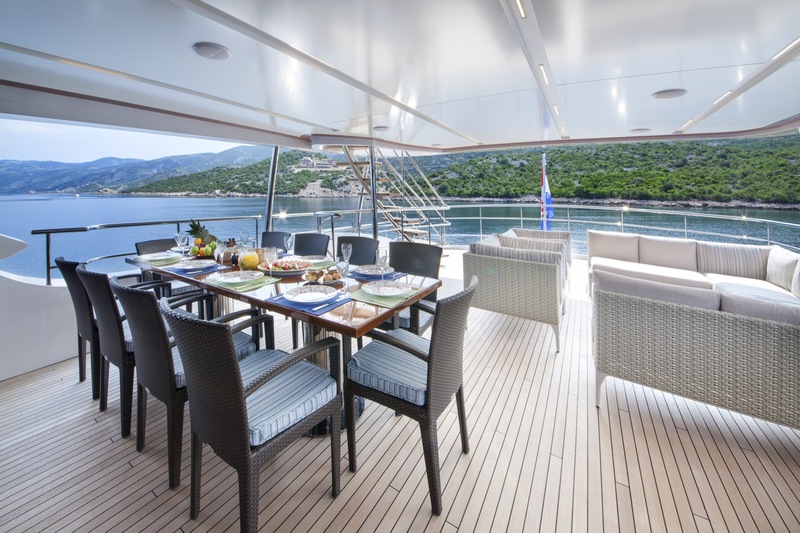 The aft section provides guests with a shaded area for alfresco dining and outdoor lounge, with plenty of seating spaced along the stern. 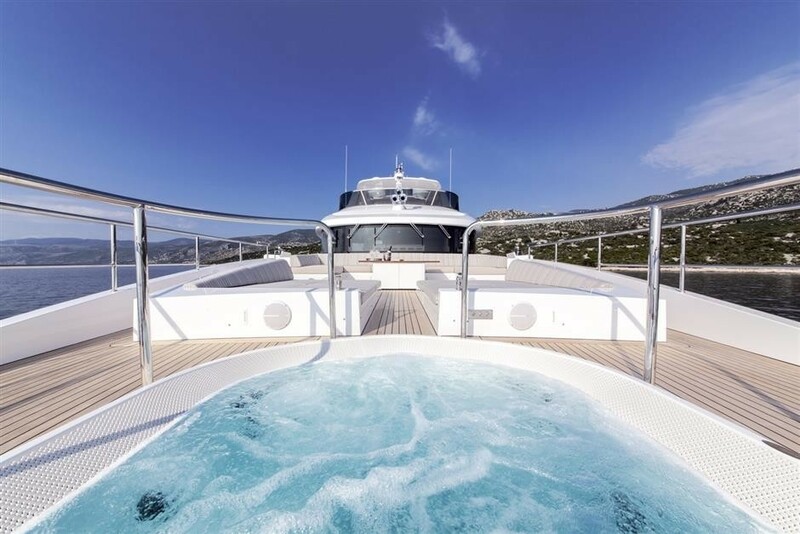 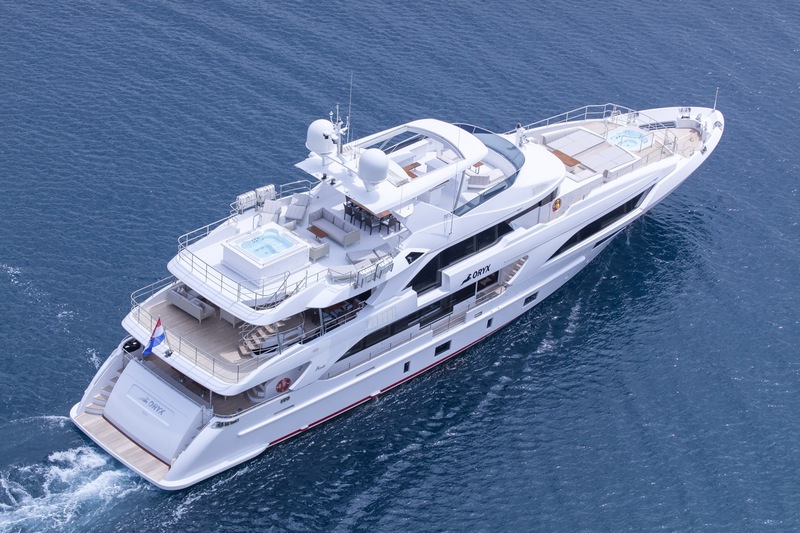 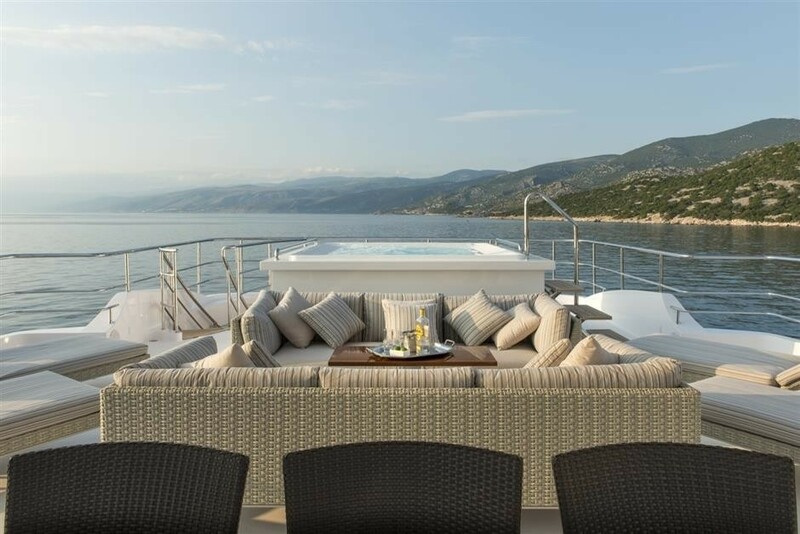 The sundeck contains a second wonderfully large Jacuzzi to the stern and a lounge area farther forward. 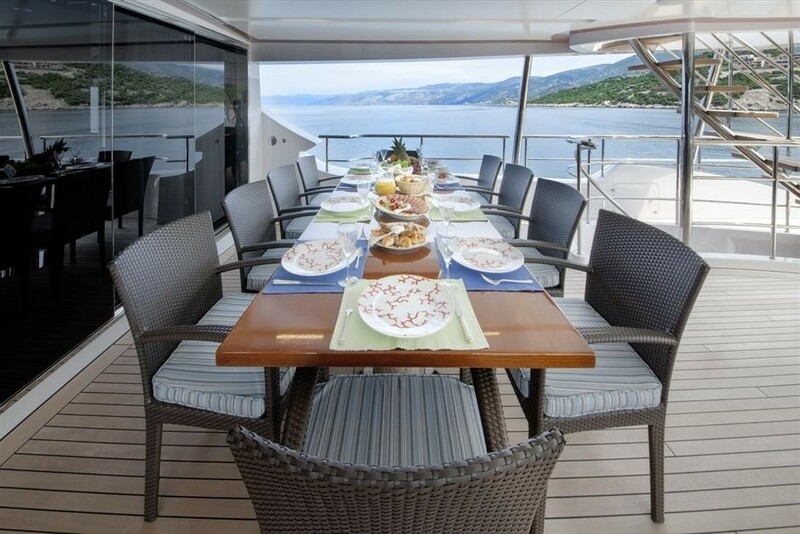 Close to the mid-section, there is a large alfresco dining table to seat all 12 charter guests, while a shaded lounge and casual alfresco dining area are in the shade of the central section. 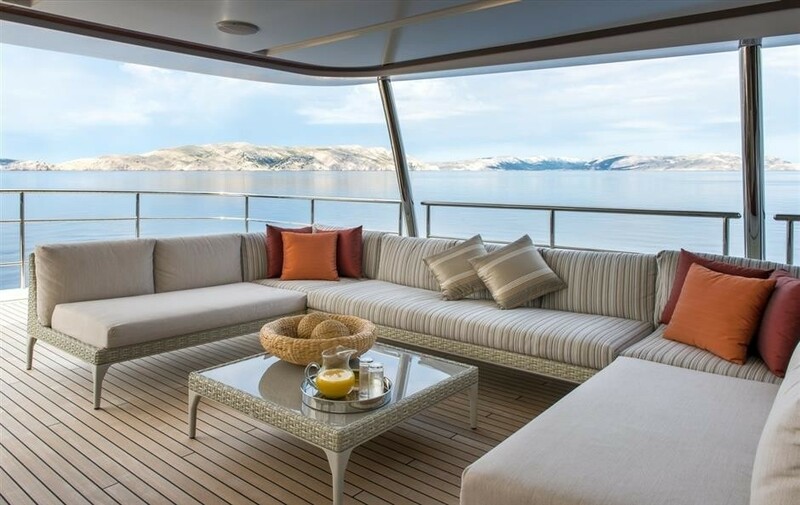 Forward sofas allow guests to take in the views while engaging in private conversations. 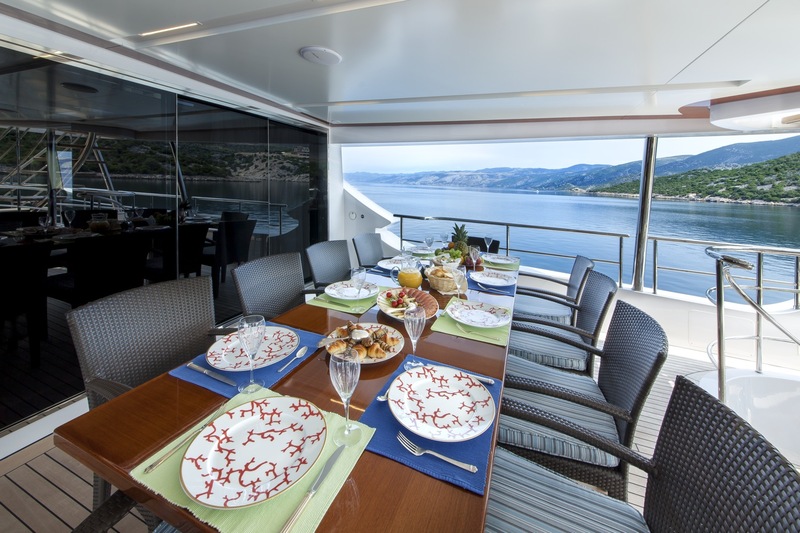 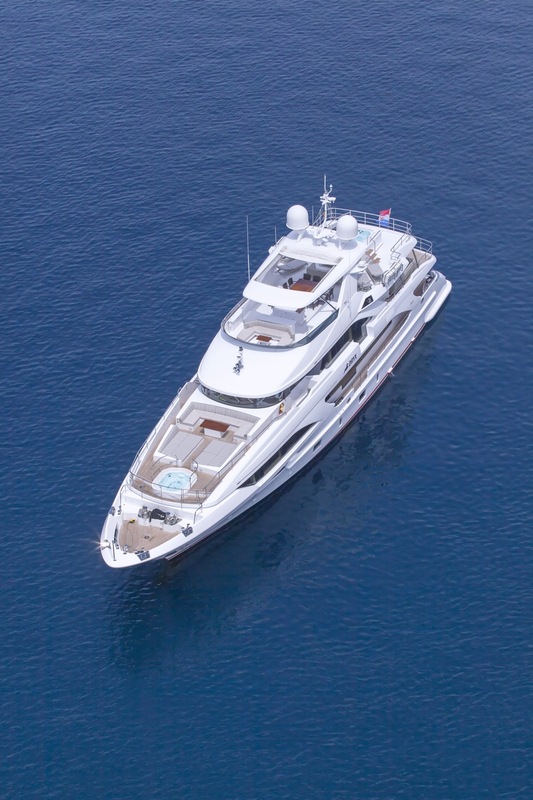 The lower deck holds the tenders and water toys, while also providing accommodation for guests and crew. 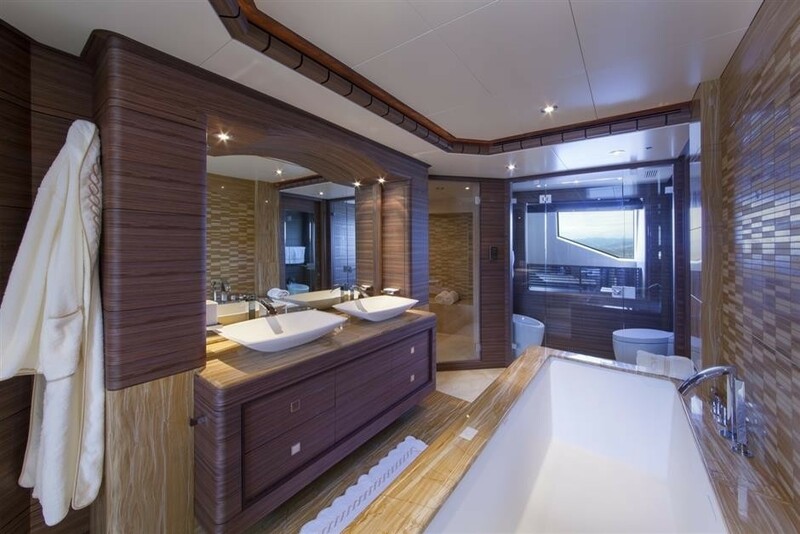 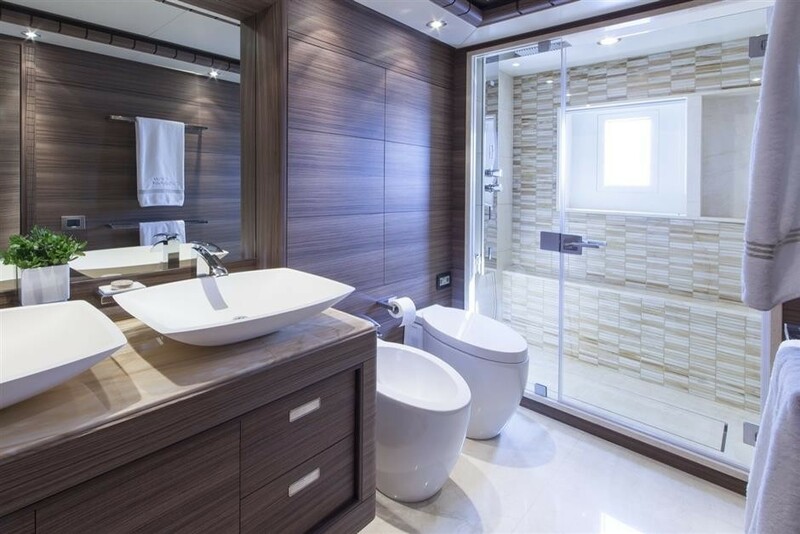 The guest accommodation on this floor consists of two double cabins and two twin cabins, each with an en-suite bathroom. 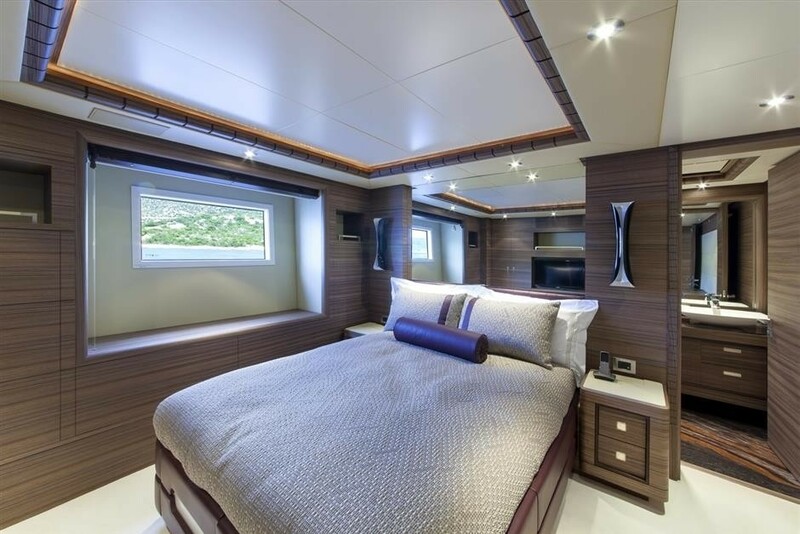 The main deck places the full-beam Master suite forward, within which there are a large en-suite bathroom and private Master study. 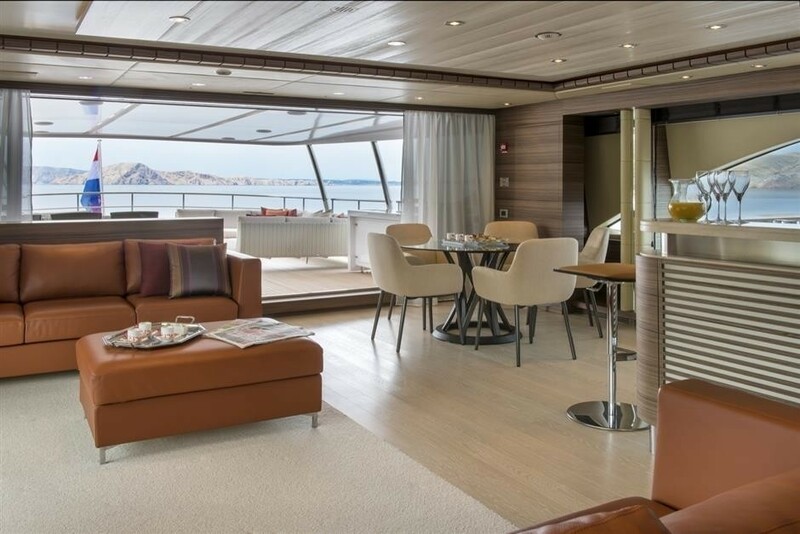 To the aft, the main salon and formal dining area share the same environment, and up to 10 guests can enjoy a meal together in surroundings suited to any formal occasion. 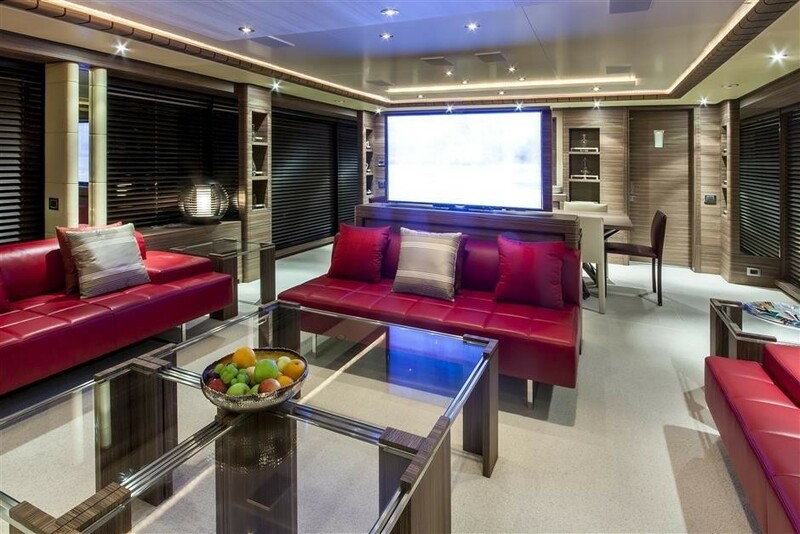 The lounge area is comprised of three large sofas around a coffee table, plus two armchairs. 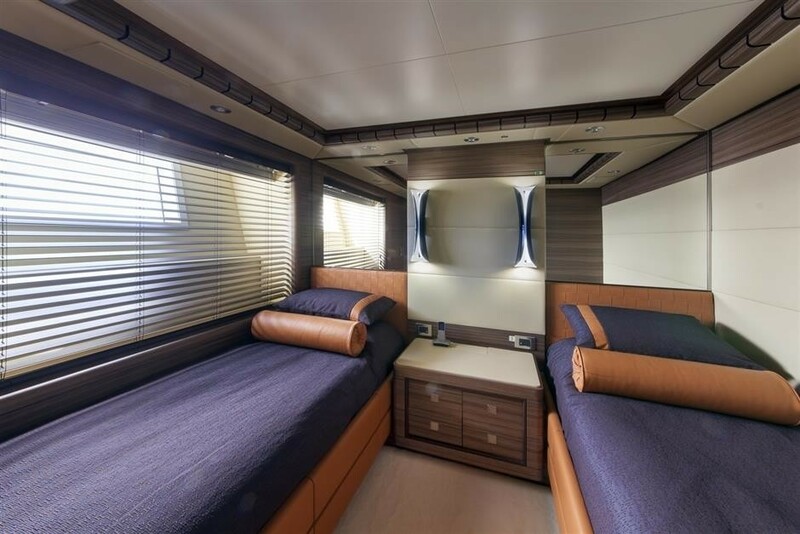 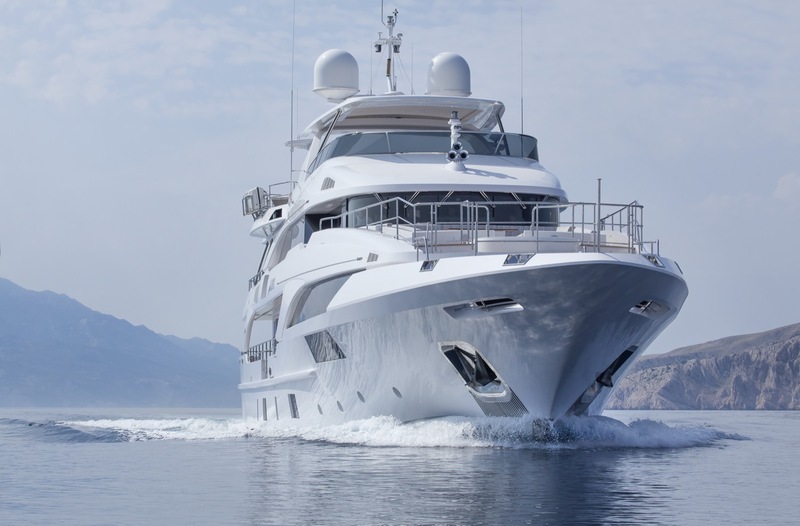 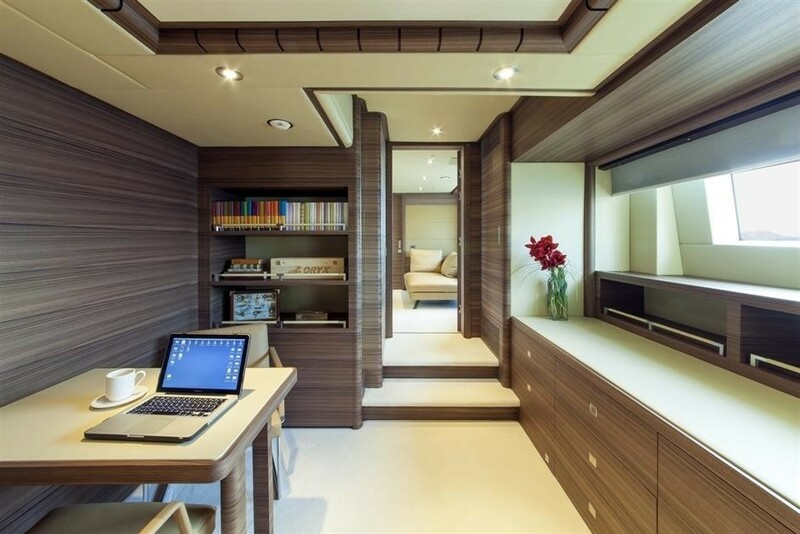 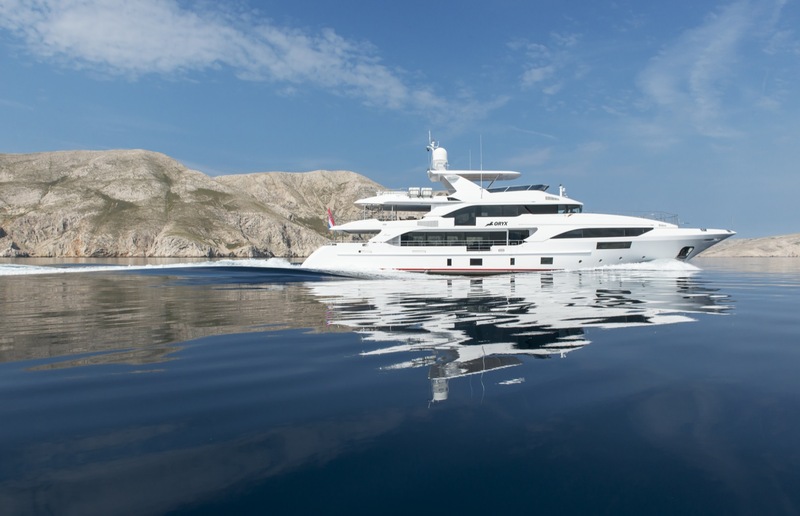 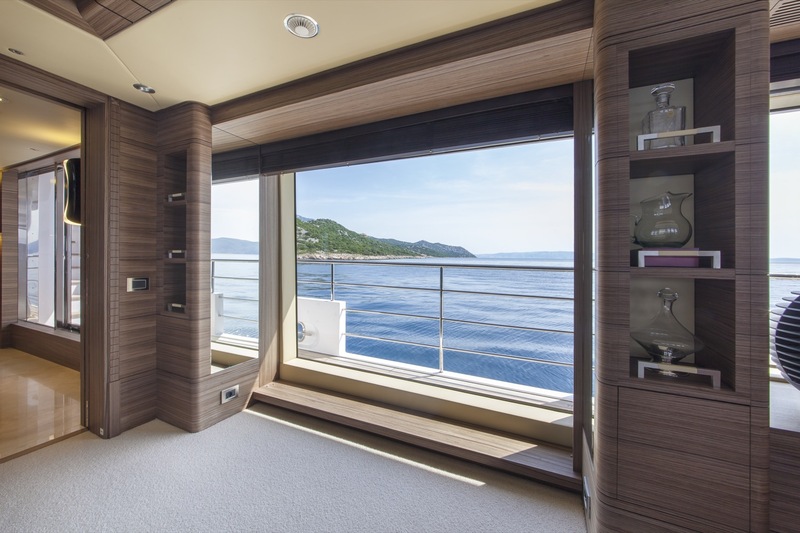 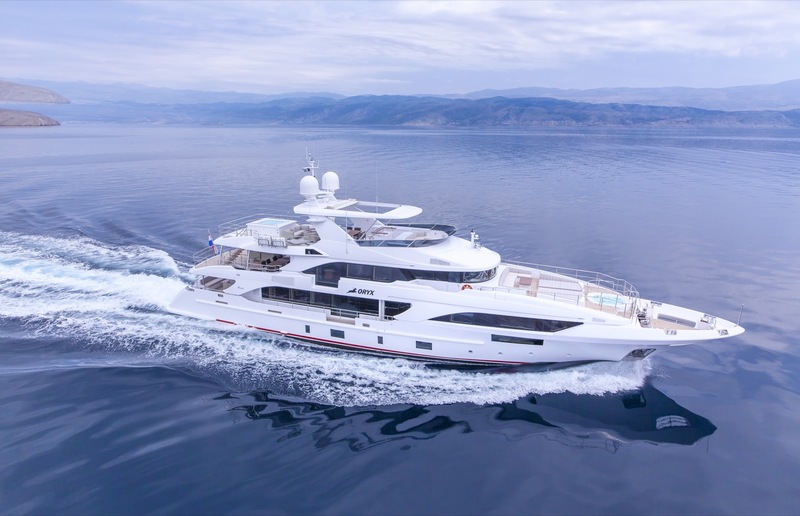 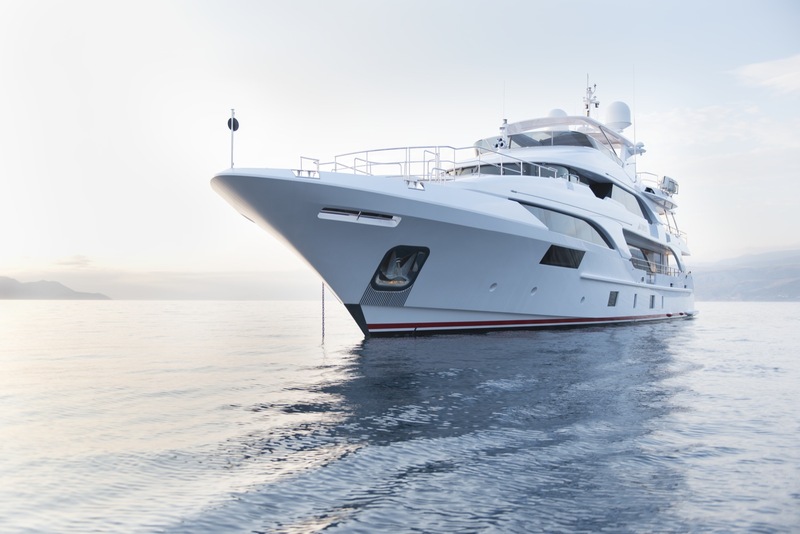 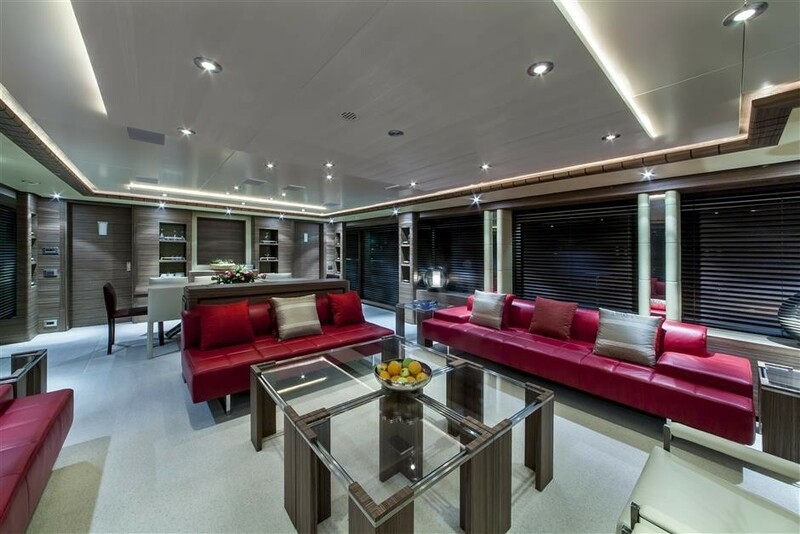 Large windows on the port and starboard side provide plenty on natural light, while the aft section is fitted with an impressive bar. 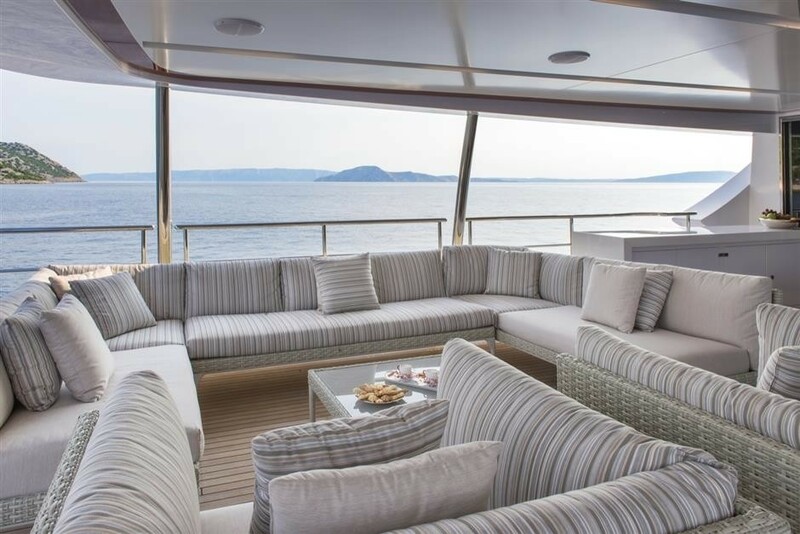 On the upper deck, the sky lounge provides a laid-back environment ideal for entertaining day or night, treating guests to a sumptuous lounge close to the massive windows, a games table close to the aft sliding doors and bar with an extensive selection of drinks. 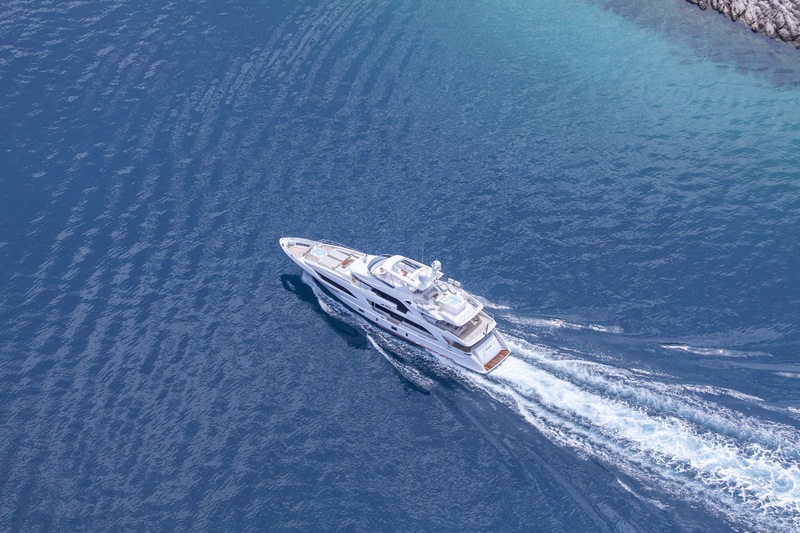 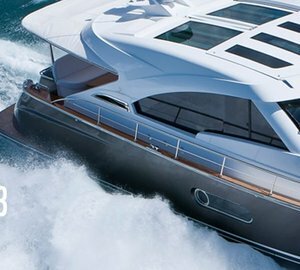 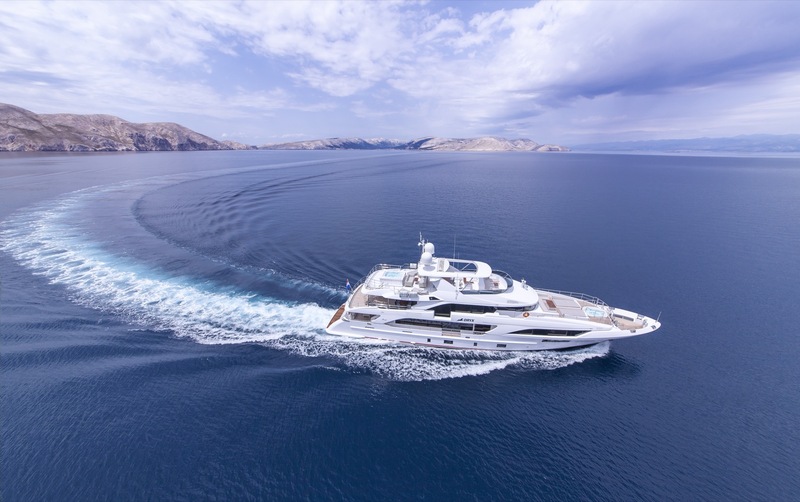 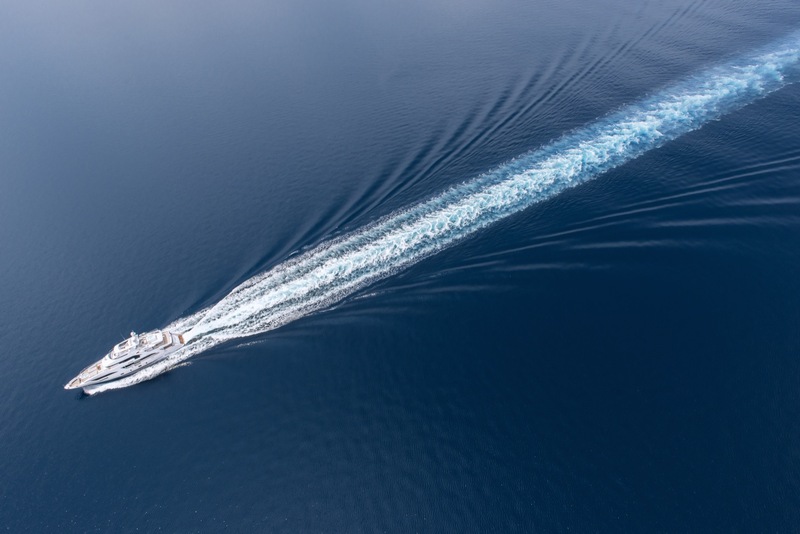 2 x 1,450 HP MTU engines provide a cruising speed of 14.5 knots. 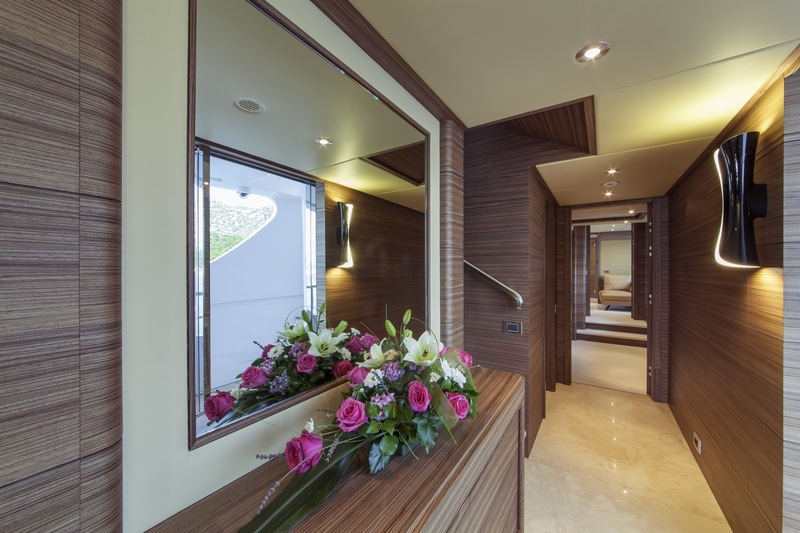 The accommodation sleeps a maximum of 12 guests over 5 cabins: 1 Master suite, 2 double cabins and 2 twin cabins, all with en-suite facilities. 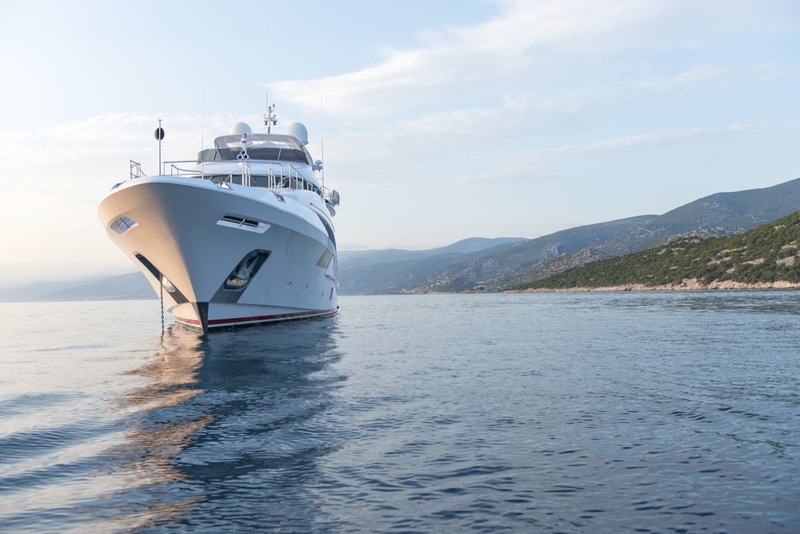 The crew of 8 will ensure that everything runs smoothly throughout the cruise.